Loíza ([loˈisa]) is a small town and municipality on the northeastern coast of Puerto Rico, north of Canóvanas; east of Carolina; and west of Río Grande. Loíza is spread over 5 wards and Loíza Pueblo (The downtown area and the administrative center of the city). It is part of the San Juan-Caguas-Guaynabo Metropolitan Statistical Area. 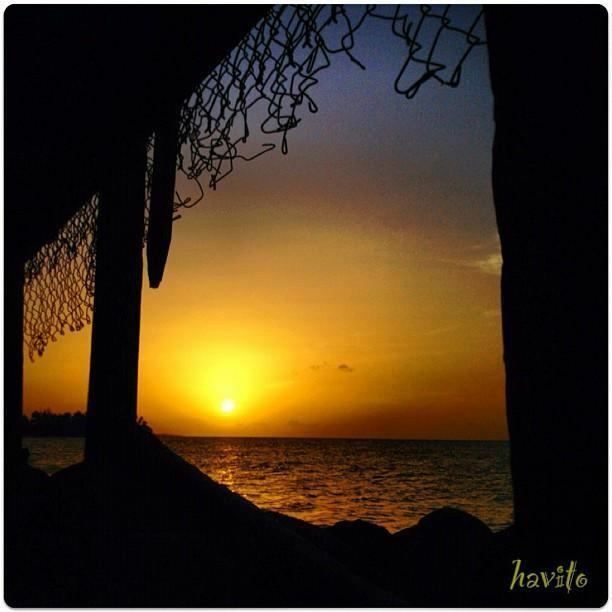 Some say that its name comes from that of a female cacique, called Loaíza or Yuíza, who governed the region formerly called Jaymanío, in the shores of the Río Grande de Loíza. 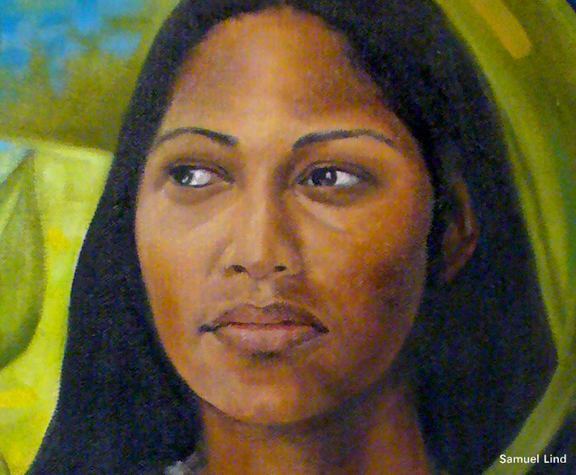 It is said that this cacique might have married a mulatto conquistador called Pedro Mejías, but there is no evidence of this. Other sources point to a Spanish landlord called Iñigo López de Cervantes y Loayza, who owned a lot of the territory, and was renowned among governors and colonists from the time. It is said that a crown decree from Spain in the 1600s, instructed slaves to be sent to the region of Loíza. Many people believe this might account for the high ratio of black people in Loíza. In 1692, Loíza was officially declared an urban area due to its population (100 houses and 1,146 residents), but it was in 1719 that the Spanish government declared it as an official town. It was founded by Gaspar de Arredondo. After being demoted, it was again established as a municipality in August 16, 1970. In the 1970s, an Aero Virgin Islands DC-3 plane crashed in a Loíza beach, with no fatalities. 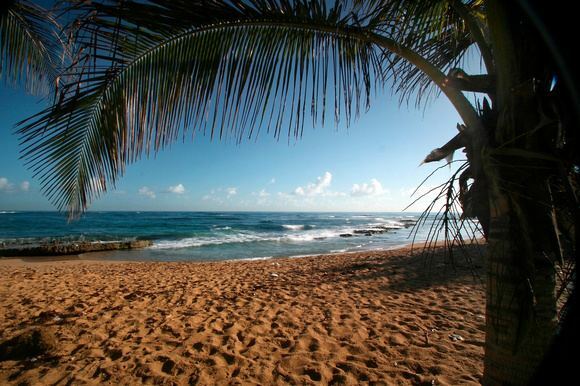 Loíza belongs to the geographical region called the Coastal Plains of the North. Its terrain is uniformly plain, since it doesn't exceed 100 meters above water level. According to the United States Census Bureau, the city has a total area of 65.71 square miles (170.2 km2); of which 19.44 square miles (50.3 km2) of it is land and 46.27 square miles (119.8 km2) of it is water. One of Loíza's barrios, Loíza aldea, is famous across Puerto Rico because it has been a talent pool for dancers and artisans. 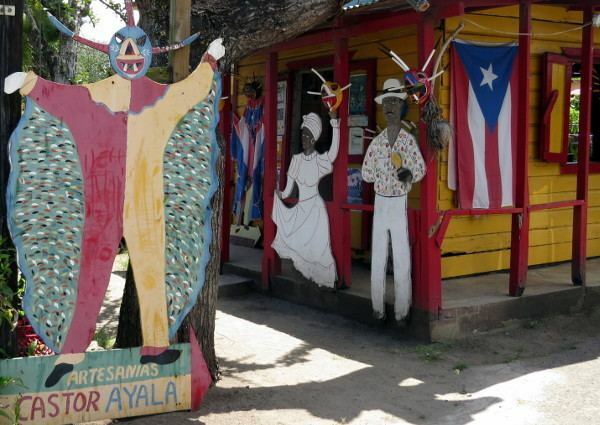 Formerly a center for black Puerto Rican music, it is said to be the traditional birthplace of the musical form known as plena along with Ponce. Each year there is a celebration in Loíza where people parade around wearing Máscaras de Vejigante. Máscaras de Vejigante are a type of mask made in Loíza. They are made from coconuts and are painted in multiple colors. 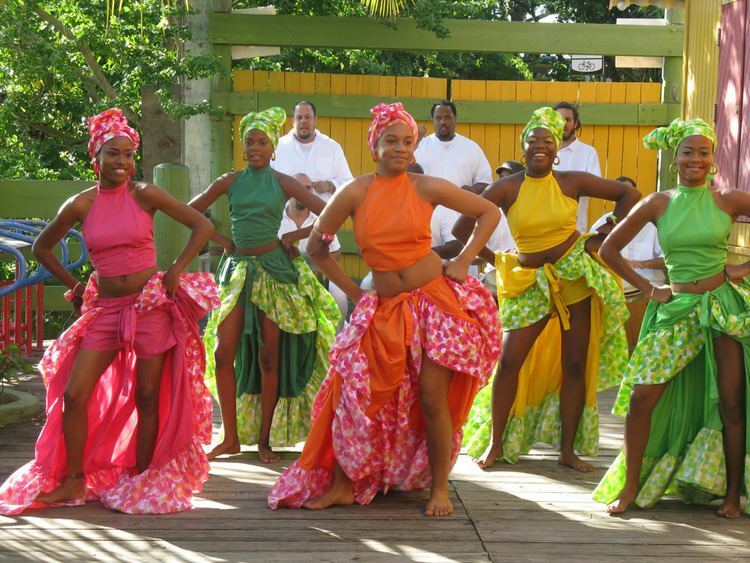 Loíza is known as "La Capital de la Tradición"- "The Capital of Traditions"- for its "bomba" music, traditional Taíno and African dishes, folk art, and distinct culture. The population of the municipality was 39,565 at the 2006 census. As of the census of 2006, there were 32,537 people, 10,927 households, and 6,140 families residing in the municipality. The population density was 1,673.4 inhabitants per square mile (646.1/km²). There were 10,927 housing units at an average density of 562 per square mile (217/km²). There were 10,927 households out of which 45.8% had children under the age of 18 living with them, 49.1% were married couples living together, 29.7% had a female householder with no husband present, and 16.3% were non-families. 14.9% of all households were made up of individuals and 5.3% had someone living alone who was 65 years of age or older. The average household size was 3.39 and the average family size was 3.77. In the town the population was spread out with 39.3% under the age of 19, 7.8% from 20 to 24, 27.4% from 25 to 44, 17.3% from 45 to 64, and 8.2% who were 65 years of age or older. The median age was 27 years. The median income for a household in the town was $8,962, and the median income for a family was $9,911. Males had a median income of $14,076 versus $12,903 for females. The per capita income for the town was $4,707. 67% of the population and 64.7% of families were below the poverty line. Out of the total population, 62.3% of those under the age of 18 and 59.5% of those 65 and older were living below the poverty line. 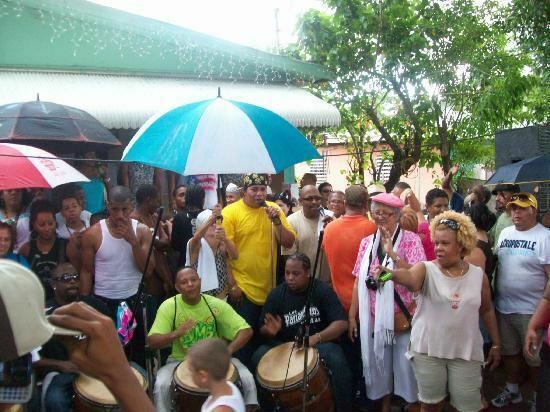 The municipality has the highest concentration of Afro-Puerto Ricans on the island. Sr. Castor Ayala - master artisan and founder of the Hermanos Ayala forkloric ballet. Sr. Francisco E. Mundo Arzuaga - mayor and teacher. Sr. Ricardo Sanjurjo de Jesús - president Movimiento Pro Restauración of the Loíza Municipality. Dr. William Cepeda - musician and composer. Prof. Daniel Lind Ramos - teacher and Resident Artist, University of PR Humacao Campus. Ing. Iván Hernández - musician and orchestra conductor. Sr. Eugenio Ayala Cepeda - prominent member of Movimiento Pro Restauración of the Loíza Municipality. Pharmacist, civic leader. Established the first licensed pharmacy in Loíza, serving the poor with generosity. Dr. Miguel Licha (1924-2016), Emergency Room physician of the Concilio de Salud Integral de Loíza (1976-1995). Declared an Adoptive Son of Loíza by the Municipal Legislature (Resolution #14, 1984-85). Sr. Samuel Lind - musician, painter and sculptor. Dr. Roque Sanjurjo Cepeda - Founder of the Gerontology Society of Puerto Rico. Prof. Eddie A. Rivera Quiñones (Ediloiza), Community leader, photographer, vocalist, poet and composer. Like all municipalities in Puerto Rico, Loíza is administered by a mayor. The current mayor is Eddie Manso, who was elected at the 2004 general election. Red and gold and green with three undulating stripes - The silhouette of a bell tower in the first stripe represents religious tradition and also serves as a symbol of the Church of Saint Patrick as an historical monument. The mounted figure of Santiago Apostle, dominant in the shield, proclaims the devotion to the saint that the Loiceños profess, manifested in a special way during the celebration of traditional festivities every July 25. The flames are emblem of the Holy Spirit, bearer of the seven gifts, a title of the old church of Loíza. The undulating stripe represents the Grande de Loíza River, notable in geography, history and literature of Puerto Rico. The crown symbolizes the famous Taína Chief Yuisa, who lived in Loíza territory where he died. The trebols represent San Patrick, Apostle of Ireland and patron of the population. Like all other municipalities, education in Loíza is administered by the Department of Education of Puerto Rico. Loíza has several elementary schools, but only two junior high and two high schools. You can get to Loiza from San Juan by taking public city buses. Take the T5 or C53 to Isla Verde, and then get on the C45 and take it to its termination in Loiza. 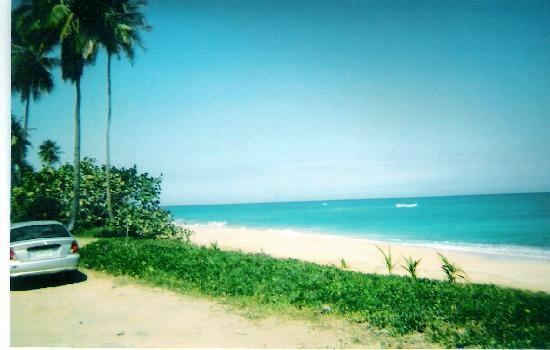 There is no public transportation connecting Loiza to the eastern cities of PR, and there are few if any hotels and guest houses in loiza itself, but there are resorts in Rio Grande.